For over 9 years, the family-owned Dettling Funeral Home has provided comprehensive and caring memorial, burial, and cremation services at a reasonable price. Your loved one will receive the proper service that he or she deserves. Honor your loved one's life without stress during your time of grieving. There are multiple funeral service and memorial service options available today. From traditional memorial and burial services, to life celebration services and cremation. Dettling Funeral Home is reputable and has a stellar reputation according to the Better Business Bureau. Coming together to honor and celebrate the life of the deceased is an essential part of the grieving and healing process. 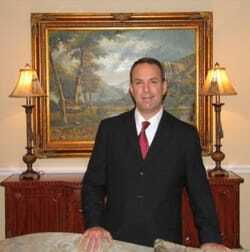 Dettling Funeral Home will ensure that your loved one receives the service he or she deserves. Whatever your budget, Dettling Funeral Home has a casket, urn, or memorial service to fit your need. Our staff is very experienced in helping plan funeral services so call (281) 810-9488 to learn more.